Perfect gifts through novel ideas! No matter what the occasion, we have all the gift ideas you could ever wish for. 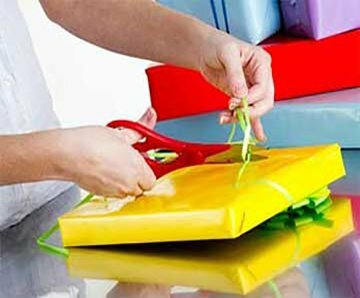 We've got some really unique, unusual and memorable suggestions for you, so if you haven't come up with any great ideas so far for that gift, get browsing on Into the Blue. But don't just take our word for it, our hundreds of happy customers are always willing to review and make recommendations about the gifts ideas they have bought, all rated independently on Feefo. Browse our superb ideas we have for gifts to give. We’ve put together a fine collection of gifts and goodies to help you mark the occasion. All events and celebrations are catered for, along with ages, hobbies and interests, as well as all budgets. No doubt you've thought about all the usual gift ideas, but if you fancy finding a gift that is more unique, exciting and enjoyable, here's where to look. 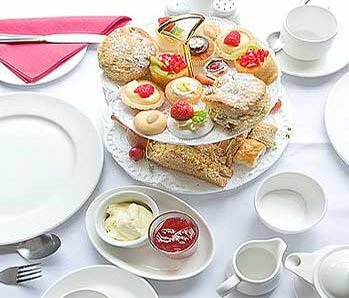 We’ve got all the classic days covered; from Mother’s Day and Father’s Day, to St Valentine’s and your wedding anniversary. If it’s a gift idea for a birthday you’re searching for, have a look through our suggestions by age to find the perfect gift. It could be a present for that ‘difficult to buy for teen’ on their 16th, something fab for Dad to do on his 70th, or something to ease the pain of reaching the big 4-0. A gift with their name on it! And then there are the personalised gifts. The clever idea behind all of these sort of gifts is that they are bespoke, so something really special for your loved one. With our personalised novels there can only be one special edition of The Wonderful Wizard of Oz featuring your beloved niece and nephew. And who wouldn’t love to have a star in some faraway galaxy named after them? As you can see, we’re pulling out all the stops to help you find something unusual to give them. And indeed, thinking up original gift ideas doesn't come easily, so we're starting you off with these suggestions that are certain to get the ball rolling. Be inspired and find something that you know is going to suit them down to the ground on that special occasion, whether they'll be doing something relaxing, exciting or purely indulgent. To make your voucher even more of a great gift to give, opt for gift box packaging and if you've left it a little late for your present shopping, never fear, we can send the packages recorded delivery. This usually means the gift should be delivered next day to mainland UK addresses when ordered before 15:00.